Continue Research Experiment on Al Foil Experiment under Light Microscope Dusting Optics! 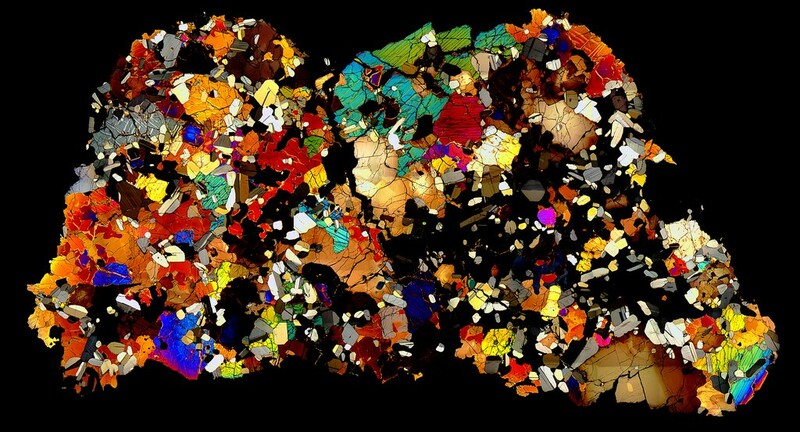 Updates on Research experiment Al foil under compound light microscope that I have been working on to understand Carbon contamination, Light source errors , optical artifacts of SEM loaded images to VM where we look for craters . This research experiment is on Copper as i promised to share , It is highlighting SEM Vs Light Microscope Resolution, wavelengths , And how the images of VM are being formed for us to spot the interstellar dust craters on foils. It is all based on information a Mr.Zack has thought us last Tel-con on Electron Microscope technology , this Experiment Data, some research on the subjects and Results observed on Copper. I have fallen into Optical research as well while experimenting on this matter before Copper using Al foil which we have seen on First Experiment under light microscope produced some similar optical artifacts to SEM VM loaded images. All was a coincidence at first , this experiment explains why and even more discovery of finding Copper to fit optically as a possible better alternative foil material for projects involving naked eye focusing and browsing on VM Dusting! The goal as duster from exploring two different foil materials under light microscope is for studying effects of light artifacts , and Improve our dusting experience on Stardust @ home project, who knows in future Copper could be the next used material in the Tray for Interstellar dust collection! I have attached both Experiment Video and the hypothesis of why Copper foil could be more useful than Al foil for Interstellar Dust Projects in a simple Scientific method i tried come up with. Re: Continue Research Experiment on Al Foil Experiment under Light Microscope Dusting Optics! I really have to applaud Fatima's enthusiasm. She is quite correct that Cu could be a better (or at least complimentary) material for capturing dust. It is worth noting that the Al foil wasn’t chosen for its optical properties. In fact, it wasn’t originally intended to capture dust at all and it was a bit of a surprise that it turned out to be such a good collector. Originally, the Al was just an engineering material for holding the aerogel tiles in the collector. Then folks started finding some cometary samples in it and “Hey! Some of the comet samples that hit the foils survived! We should investigate this!” Luck favors the prepared, right? It certainly favored us on this mission. A future mission would likely use a mix of materials for both the soft (aerogel) and hard (foil) collectors including Cu, Al, and other more exotic substances. One more advantage of Cu is that it is scientifically less interesting in cometary samples than Al. This is because Al is very abundant in many minerals, where Cu is more rare. For this reason it also makes a better capture surface. Cu can also be manufactured at very high purities. The best option is to use many different collector materials so that you get to take advantages of the strengths of each. See what I mean? Yeah! Wohoo! I am so amazed with the Si3N4 spiderwebs project, seems there are lots of other minerals and metals that can be more suitable for capturing Particles with less impurities and artifacts. Right Al foil was not predicted to be used for collecting in Stardust @home project mission, if that means Copper captured your attention for future experiments I am so excited that my thoughts on it came up with discovery i mean the Hypothesis, you give me the opportunity to believe like a real Scientist. I am not sure if Copper is chemically inert as Si3N4 to not induce the changes in chemistry and mineralogy of the captured particles but as far as i experimented optically it looks like a good fit its acting as A prism in absorbing the beam light projected current to spread it through wavelengths that makes the objects absorb the white projected light and if you go back to the movies of project , it was not reflecting Copper color only t if it did the Golden orangeish color would have been absorbed by debris or particles examined on surface of Copper sheet, It acted instead in a prism mechanism and the white color diffraction has given us back the colors of particles. I wish someday have a chance take a look in Electron microscope how that all worked since this was done on basic light microscope for space particles Electron microscope will give us more data . i am not sure the reflected colors did they mean some mineral composition identification or just debris original color some debris looked like transparent glass, red fiber mesh strip, water blue crystals i am still really curious about all this it is a lot of fun! this is all crazy I always thought Light compound microscopes are only good in detecting Gram - and gram+ Bacteria biological samples and smears even with that still we have to use reagents to stain the microorganisms and detect their shapes and what makes them distinguished purplish , or granules in the white blood cells to know if they are neutrophils basophils or lymphocytes. Optically Copper has stained the debris to be distinguished and identified as different from each other when we view them with naked eye. Thank you so much again for reading my Hypothesis,and all references an links.